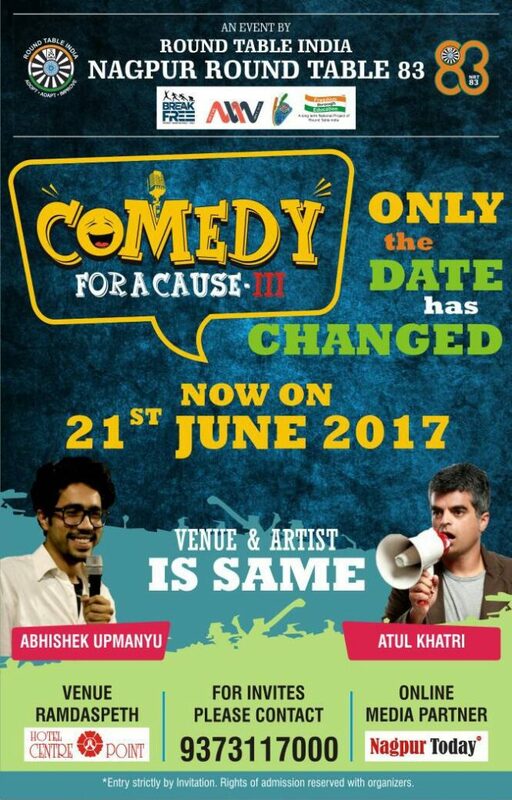 Comedy for a cause III, presented by Nagpur Round Table 83, which was supposed to be held on June 18, 2017, has got postponed to June 21, 2017. The show, which would be held at Hotel Centre Point, got postponed as it coincided with the final match of India-Pakistan for ICC Champions Trophy. Renowned stand-up comedians Atul Khatri and Abhishek Upmanyu would be performing at the event, which would begin at 8:30 pm.